What should India\'s modus operandi be? The third on-going India-Africa Forum Summit in New Delhi has been the talk of town for some time now. The constant talk of solidarity and media bytes leading to the summit have been replete with references to the historic ties between India and Africa and the multiple possibilities it has for both, especially economic. Not surprisingly, India is focusing on trade and commerce with Africa, with specific reference to increasing sharing of technical knowledge. The summit is India's attempt at going one up on China, its biggest competitor in Africa. India is currently the fourth-largest trading partner of Africa, after China, the United States and the European Union. India-Africa trade figures of $72 billion are nowhere close to the continent's $200 billion trade with China. India's investment in the continent is around $32 billion, according to industry estimates, greater than China's $26 billion. Much is being talked about China's economic slowdown and the impact it could have on Africa. 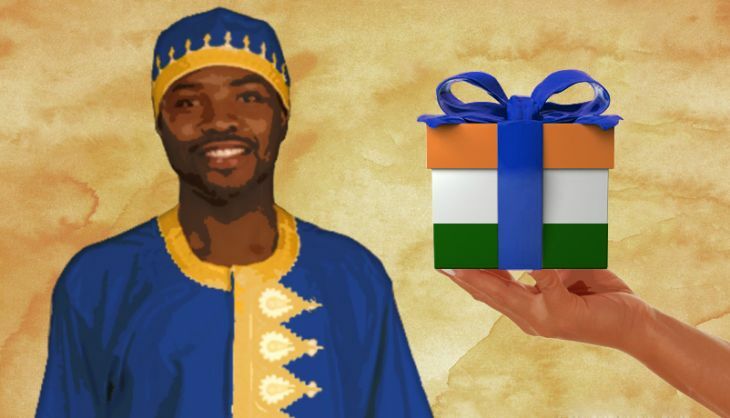 India's efforts to step in into the niche, afforded by the slowdown, is seen by analysts as giving African countries an alternative on one hand, and creating a resource base for its own 'Make in India' campaign on the other. The summit is a monumental diplomatic effort to ensure India gets some allies in its bid for a permanent seat on the United Nations Security Council as well as in other international fora such as next month's World Trade Organization ministerial meet. For this India has been invoking its historical ties with the continent and repeatedly projecting itself as a non-exploitative, non-extractive trade partner who focuses on Africa's needs. This effort may further India's commercial engagements with Africa, but it is probably time to pause, take a breath and see if this is where we want to head. Let us look at the context of India's engagement with Africa and other developing countries such as Nepal, Afghanistan and Sri Lanka. India has always maintained with pride that it is not a 'donor' of aid but a provider of development assistance. The governments' development cooperation policy was inspired by Pandit Jawaharlal Nehru's vision of an independent India shouldering its international responsibility by assisting other developing countries. Since its very inception, it was an expression of India's solidarity with countries of the South. The altruism was grounded in a commitment to build a strong South, which aspired to be diametrically opposite to the North-South aid model. North-South aid relationships are criticised for being top-down, marked by a donor-recipient hierarchy and imposing conditions that constrain true development of the receiving country. They are determined not by needs of the recipient, but market compulsions of the donor. On the other hand, the South-South model positions itself to be marked by non-interference, driven by demand and being mutually beneficial. According to the National Council of Applied Economic Research (NCAER), from 1980 to 2008, North-South trade has grown six times, while South-South trade has grown by more than ten times. The numbers point to a growing trend in trade, investment and aid. However, despite this growth, the distance between the global South and the North is far from bridged, as borne out by several well-known facts. Many Southern economies are led by multi-national corporations (MNC) which have their origin in the North. These MNCs often control economies of the Southern countries by influencing the aid programme as well as getting a headstart on trade. Take India. One in every five private firms among the top 100 companies listed on the Bombay Stock Exchange have parents in the North. Critics have argued that India's development cooperation policy is guided by commercial and political self-interest, rather than altruism. Some have even suggested that development cooperation linked with trade and investment is nothing but a new form of mercantilism. The G7 has expanded into a G20 to accommodate emerging economies. But the former is far from redundant. It continues to meet and make its presence felt through its comments and suggestions on policies that are applicable globally - be it related to climate change or food security. India has expressed its disapproval of the accommodative monetary policies of the developed nations and the International Monetary Fund, which supports such policies. But is the occasional criticism enough? Or is it time for stronger action? Nearly 900 million people in India and Africa live in extreme poverty - that's almost 70% of the world's poor. The message should be loud and clear: united we stand. And it can't get any clearer than now when the booming Chinese economy has reported its slowest growth in six years. This is probably the time for the Southern countries to put the competition for resources, markets and diplomatic brownie points on the back burner and evolve a stronger South-South cooperation that can stand up to the North. It is time to emerge as a powerful bloc built on development partnership and the spirit of solidarity. For a strong, prosperous and equitable South, it is imperative that the development assistance programmes of the emerging economies remain firmly rooted in the principles of non-coercion, non-interference and mutual benefit. The countries should keep their doors open to dialogue and recognise the need for transparency, accountability and participation as non-negotiable principles. People-to-people contact and strong principles of accountability are essential - be it through white papers on trade and aid or enforceable principles for businesses. India can learn from Rwanda! Seriously?